Hall of Fame PED Debate: Will They Ever Get In? Well Baseball fans, it’s that time of year again when we get to discuss one of the most controversial votes in the country. No, it’s not the Presidency. 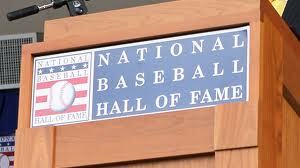 It’s the Prestigious Hall of Fame. Odds against election into the Baseball Hall of Fame are overwhelming: about 70-to-1 for the typical major-leaguer. Entering in the first year of eligibility is even tougher: Only one out of about seven Hall of Famers entered on their first try. A six-member screening committee prepares the annual ballot, and selected players remain eligible for 15 years — unless they receive less than five percent of the vote. That system keeps the ballot from becoming unwieldy and makes it easier for voters to choose up to 10 candidates per year. Many writers, however, select only a few top choices and leave the remainder of their ballots blank. Electors must have covered major-league baseball for at least 10 years. This year will undoubtedly be the most biased as we enter into the historic Steroid Era. The game of baseball has had many storylines over the course of time, but none with the same controversial intensity as performance enhancing drugs. Every time the vote comes up, the issue of steroid performers comes into play. Let me first start off by saying that I do not get a vote, but I do get an opinion. I try to look at all factors considered in an argument and not jump to conclusions. With that being said, I have to say that I believe Barry Bonds and Roger Clemens belong in Cooperstown. Unfortunately, they are both headed for the same outcome and for all intents and purposes won’t get voted in. This, in my eyes, is a travesty. Barry Bonds was a household name ever since he began with the Pittsburgh Pirates in 1986 and further established himself when he became a San Francisco Giant in 1993. He consistently produced terrific numbers which led him to 14 All Star Selections and 7 MVP’s. There were many firsts in the long line of accomplishments along the way to becoming the Home Run King with a whopping 762 round trippers. How many other players would get intentionally walked with the bases loaded and 2 outs? 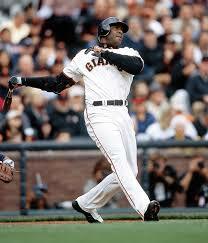 Were steroids the entire reason for all seven of Bonds’ MVPs and his near two decades of dominance at the plate? 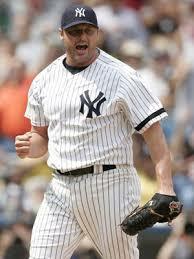 Roger Clemens was the ultimate gamer and consistently struck fear into the eyes of his competition. His unprecedented arm strength and blatant delivery were more than enough to earn him the nickname of “Rocket.” Were steroids the difference in all 354 wins and Seven Cy Young Awards for Clemens? Do we know how many other players were under the same influence? What about Jeff Bagwell, who admitted using the now-banned substance androstenedione? This is just one example of a player who took a substance to help improve his play, but just not to the extent of Bonds and Clemens. Should they be punished for taking the better supplement? Bonds and Clemens were the monsters of their era and the blood that kept Baseball going at a time when fans were lost. They gave the audience a reason to come back to the ballpark and feel a little excitement. Their accomplishments are statistically better than most current Hall of Famers and, for that matter, that will be inducted in the future. Were they wrong for what they did? Didn’t their dominance, which spanned over two decades, come during a time where MLB decided to take a blind-eye approach to the problem? Obviously, there will be many arguments based on my opinions and factual information in this report. Either way, I firmly believe that they both belong in the National Baseball Hall of Fame and will continue to stand behind my feelings. Please leave your comments as I would love to hear your thoughts. ****Come follow my sports site www.fantasysportsaddiction.com and all my editorial articles along with many interesting minds at eWrestlingnews…..